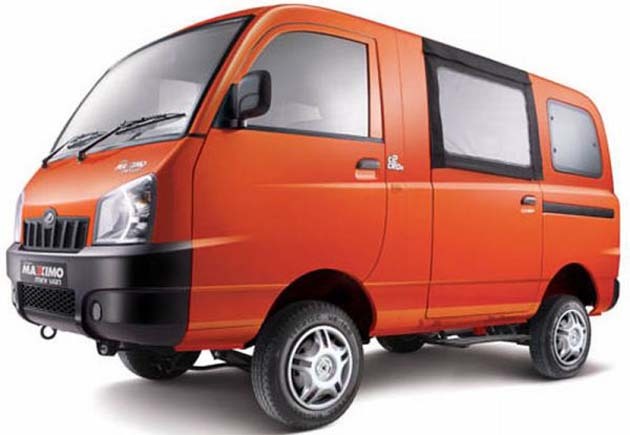 Mahindra & Mahindra, leading utility vehicle manufacturer launched their next generation Maxximo Mini Van on Wednesday. This passenger carrier has a price tag of Rs. 3.2 lakh. Pawan Goenka, the president of M&M’s auto and farm equipment sector, said that the new Maxximo Mini Van has a price tag of Rs. 3.2 lakh according to the Navi Mumbai ex-showroom. He added that this new Mini Van will be built at their high-tech Chakan plant located in Maharashtra. This new van will now compete with the Maruti Omni, Force Trip and Tata Magic in this segment. M&M has targeted this mini van at rural and semi urban areas, and it will be available with 230 dealers across 600 outlets all over the country. M&M has reportedly used up Rs. 130 crore for creating the Maxximo platform, of which Rs. 70 crore will be spent on the set up of their manufacturing line. The Chakan unit currently has a production capacity of 2,000 units in a month, which can easily be increased, according to Goenka. The Maxximo has a wider chassis which will provide more interior space. The chassis is a monocoque which comes with its own front suspension to provide better comfort. The Maximo is powered by a C2 CRDe 900 cc parallel twin-cylinder engine, which delivers a maximum 26PS at 3600 rpm and generates a torque of 55Nm at 2200 to 2400 rpm. According to Mahindra & Mahindra, this mini van has an 18kmpl mileage, with a reported top speed of 70kmph. This mini van will also be available with an engine which is BS3 compliant.